Movie nights are for the enjoyment of all members of the community. Non-members will be charged $5.00 adults, $3.00 children & teens (under 18). On movie nights the pool will close for swimming at 8:00 p.m. and movies begin at approximately 8:30 p.m. We will begin serving complementary movie treats at 8:00 p.m. Reservations for parties will not be allowed after 4:00 p.m. Bring your dinner, blankets and chairs and plan a relaxing night with your family. An Evite will be sent to members prior to each event. TGIF BBQ and Swim parties are for the enjoyment of all members of the community. Non-members will be charged $5.00 adults, $3.00 children & teens (under 18). 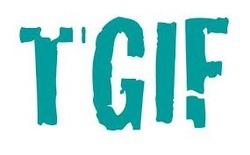 TGIF's will start a 6:00 p.m. and end at approximately 9:00 p.m. Reservations for parties will not be allowed after 4:00 p.m. Food and drinks will be provided, just bring your appetite! An Evite will be sent to members prior to each event. 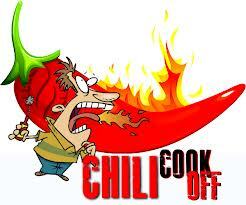 The Chili Cook-Off is for the enjoyment of all members of the community. Non-members will be charged $5.00 adults, $3.00 children & teens (under 18). Reservations for parties will not be allowed after 3:00 p.m. Drinks will be provided, just bring your appetite! As the date grows closer we'll provide a sign up sheet at the gate guard desk. An Evite will be sent to members prior to the event.